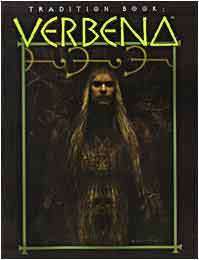 With a wealth of new magic for those playing a witch, Tradition Book: Verbena clarifies the history of this magical tradition and brings it up to date with the latest events of the World of Darkness. Specifically for Mage: The Ascension, many of the insights contained herein will be valuable to players of Dark Ages: Mage as well. Continues the revolution storyline in the wake of the Ascension War.